Work with an expert to design a beautiful and successful website. FREE BONUS: Download our FREE Nonprofit Website Checklist. It includes over 20+ proven web design best practices that will help you better engage your donors and raise more money! WordPress website building. Working with the most powerful content management system allows us to customize any aspect of your website so that it perfectly reflects your brand and needs. Nonprofit best practice design. Since we specialize in nonprofits, our websites always align with the nonprofit best practices that will set you up for success. Website strategy. We work with you to develop an overall website strategy and provide monthly training and updates so that you can maintain your website on your own. IT consulting. We offer unlimited IT support so your website is always functioning at full power. In other words, we’re here to support you throughout every step of building your online presence! Our web design services start at only $90/month. Click here for more pricing information. Here at Neon, 90% of our staff comes from a nonprofit background. We’re in tune with the unique difficulties nonprofits face and the unique needs they have. One of the biggest benefits of working with us is CRM integration. Your website and NeonCRM can easily be linked up so that all data received through webforms is automatically recorded in your donor profiles, making data collection a breeze. Get a free website review from Neon! 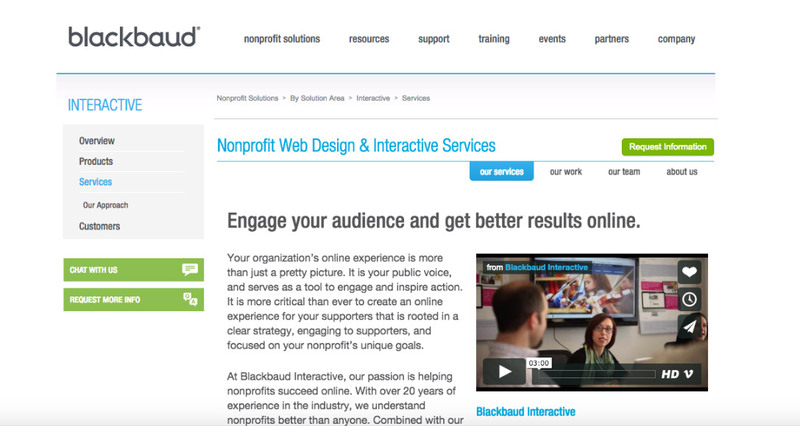 Blackbaud Interactive is another web design firm that specializes in nonprofits. Web development, including interactive elements and responsive design. While Blackbaud’s services are comprehensive, they can be on the pricier side. They often aren’t suited for small to medium nonprofits, especially those who are just starting out with web design. Contact Blackbaud for a quote. Blackbaud takes a constituent-centered approach to web design. Their model focuses on acquisition, cultivation, and stewardship to help nonprofits design a website that can make every step of donor relationship building more successful. Learn more about Blackbaud Interactive. Boxcar Studio also offers their website design services exclusively to nonprofits, with a focus on educational institutions in particular. 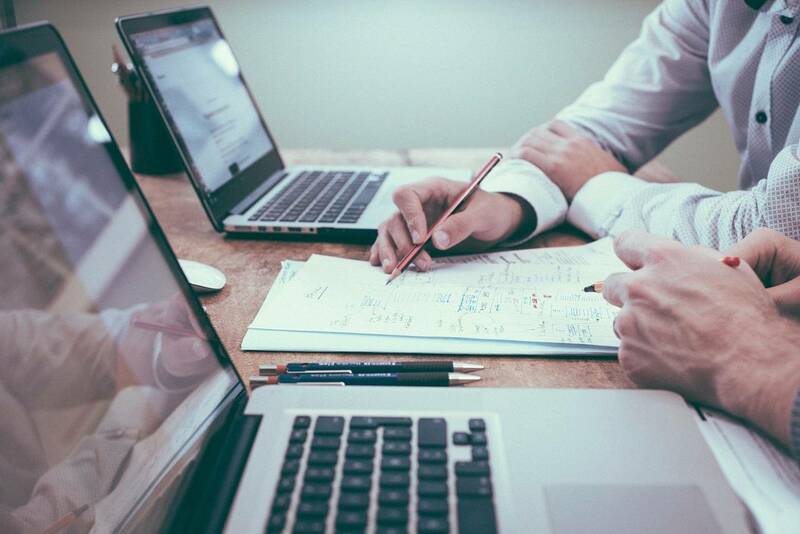 The services they offer include user research, information architecture, branding, design, and development, providing your organization with a thoughtful and comprehensive website strategy. However, a major downside to Boxcar’s services is that website hosting isn’t part of their package. Either your IT department will need to host your website or you’ll have to find a third-party platform, which can cost extra. Contact Boxcar Studio for a quote. 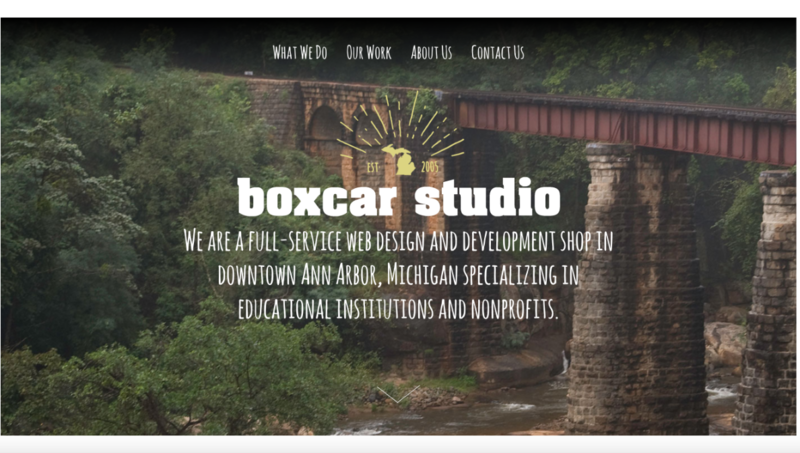 Boxcar Studio’s dual focus in WordPress and Drupal means that their services can accommodate organizations at varying levels of technical proficiency. 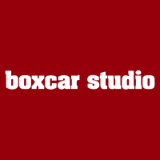 Learn more about Boxcar Studio. 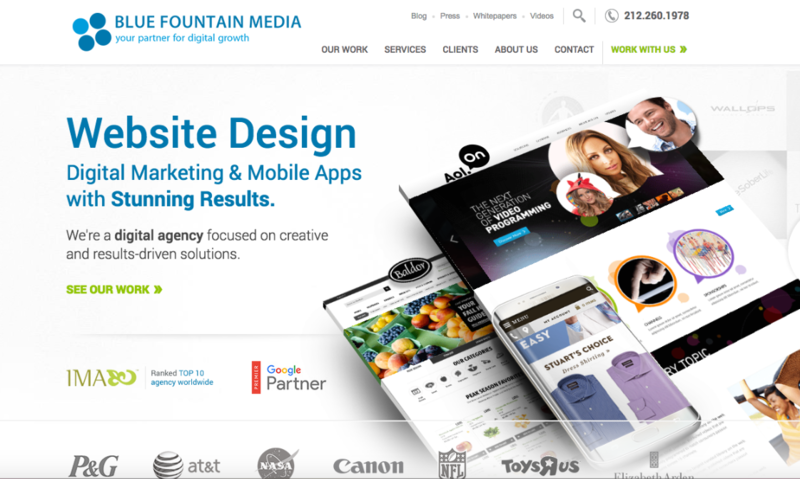 Blue Fountain Media focuses on user experience and donor conversion to help your organization reach any goal that you set out to achieve with your website. They will also figure out how to integrate email marketing, social media, and retargeted ads into your website to help you spread your cause and mission as far and wide as possible! The biggest drawback of Blue Fountain’s services is that they don’t just work with nonprofits. They also offer their services to other industries, so their design strategies aren’t as tailored to nonprofits’ needs. Contact Blue Fountain Media for a quote. Blue Fountain’s action-oriented approach to web design, which places a strong emphasis on user experience, online engagement, and conversion, can really help nonprofits achieve their goals and reach more new donors with their websites. 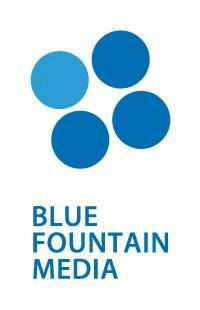 Learn more about Blue Fountain Media. 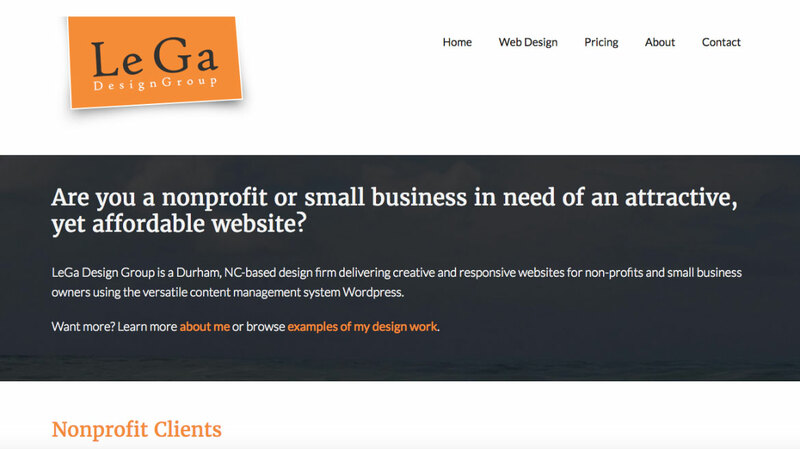 Le Ga Design Group works with nonprofits and small businesses to help them design successful websites. Like Neon, they use WordPress to build out their clients’ sites, enabling them to create highly customizable websites that include any feature your organization might need. The main drawback of working with Le Ga is that they don’t place as much of an emphasis on content strategy and driving results as many other firms do. Their main focus is on the aesthetics of your site and responsive design that looks great on any device (which is important, too!). Le Ga will provide you with a personal quote based on your organization’s needs. Any time spent beyond the quote will cost $75/hour. Le Ga doesn’t have a lot of bells and whistles, so if your organization is just starting out with developing your online presence and wants to get an attractive site up quickly, this firm may be a good option for you. Learn more about Le Ga Design Group. 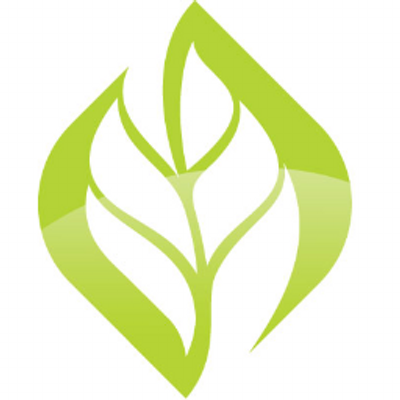 Nonprofit Garden offers a truly comprehensive set of services for nonprofit organizations. From web design to consulting and training, Nonprofit Garden is dedicated to your nonprofit’s holistic success and will work with your team to create customized solutions that fit your specific needs. 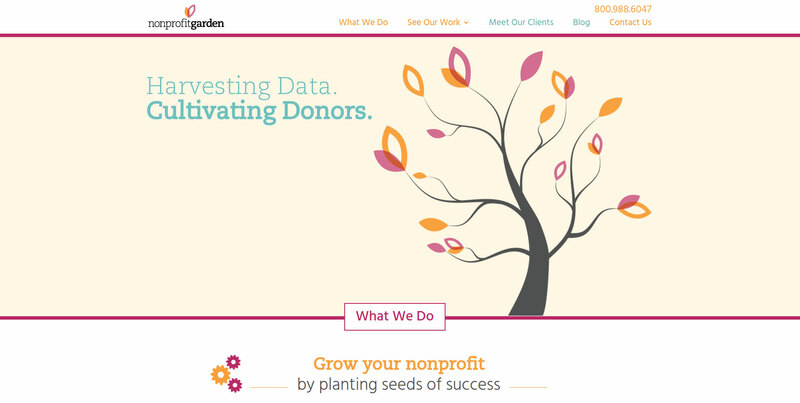 Plus, Nonprofit Garden has over 20 years of experience working in the nonprofit space, so you can trust their expertise in building websites that will help you maximize your fundraising and donor stewardship strategies. Contact Nonprofit Garden for a quote. Everything Nonprofit Garden does is custom-created to fit your organization’s needs. They’ll assess your nonprofit in a variety of ways to ensure you’re receiving solutions that will help you succeed. Learn more about Nonprofit Garden. They’ll first talk through your needs with you to gain a thorough understanding of what you want from your website, and then they’ll create a personalized plan for building it. Since they build through a CMS, your organization can take the driver’s seat with updating your website once it’s been designed. They’ll even give you one-on-one lessons in your CMS and provide any support you need along the way! Contact The 215 Guys for a quote. 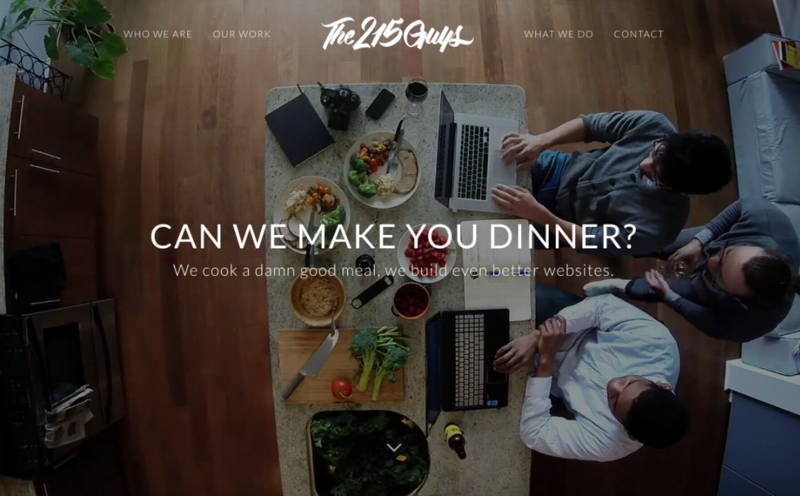 We love the 215 Guys’ friendly approach to web design. They truly care about their clients’ unique needs and will still continue to build a relationship with your organization once their work is done. 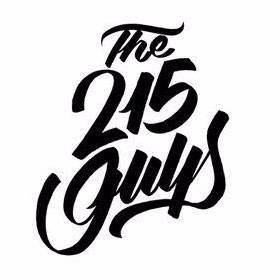 Learn more about the 215 Guys. One for small budgets that includes implementing a WordPress template and training you on it so your organization can migrate over your content for yourself. One for large budgets that includes a custom-built website (using coding), social media and domain support, and full content migration, among other services. While BDW doesn’t specialize in nonprofits, they work predominantly in the nonprofit space — including pro-bono services and specialized support for nonprofit professionals. 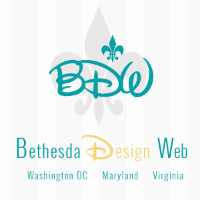 Contact Bethesda Design Web for a quote. BDW builds websites on the easy-to-use WordPress platform, and offers white-glove maintenance and specialized support for nonprofits. They also offer Nonprofit “ZIP” Projects, with discounted estimates and speedy implementation to minimize costs for busy nonprofits. Learn more about Bethesda Design Web. 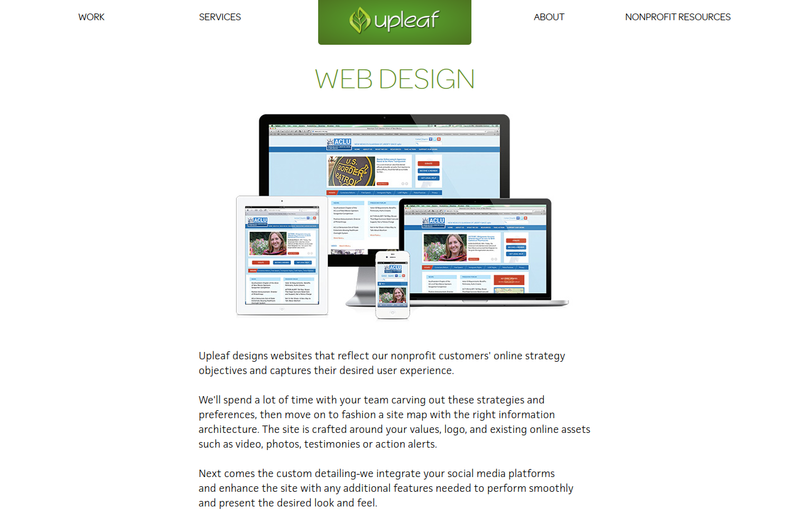 Upleaf helps nonprofits plan and build out their websites down to the last detail. Content development (Upleaf provides services in both English and Spanish!). Contact Upleaf for a quote. With their focus on responsive design and cross-browser compatibility, Upleaf designs beautiful and functional nonprofit websites that look and function great when accessed from anywhere. If your nonprofit is looking for a quirky and creative solution to web design, look no further than Openbox9. The firm’s approach to web design is out of the box (hence their name!). Openbox9 doesn’t offer a prescribed set of services; instead they get to know their clients and provide a custom solution that mixes and matches disciplines based on your nonprofit’s unique needs and goals. Ultimately, Openbox9 takes pride in the fact that they’re not simply a web design firm. They’re active partners and students of your nonprofit! Since their services vary significantly by client, you’ll have to contact Openbox9 for a personalized quote. Openbox9’s creativity is boundless. With their thoughtful, out-of-the-box solutions, your organization will achieve a unique website that’s sure to stand out. Inspire your web design with 22 top tips for nonprofits. See some examples of stellar nonprofit websites. Check out the top nonprofit website builders.